Pregnancy is one of the most exciting but challenging experiences in a woman’s life. 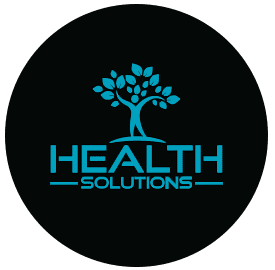 At Health Solutions in Wellington, Florida, high-quality obstetric care enables women to navigate pregnancy, childbirth, and post-natal care with ease. From routine appointments to specialized services, you can be sure you’re in the hands of trusted experts. Call the office today to book an appointment. Obstetrics is the practice of caring for women during pregnancy, childbirth, and the postnatal period. An obstetrician can also have a specialty in maternal-fetal medicine (MFM), which is a branch of obstetrics that focuses on pregnancy complications or chronic health problems during pregnancy. In general, obstetrics care includes the medical attention or procedures you need before getting pregnant, as well as during and after pregnancy. What are common obstetrics services? Obstetrics can also address issues with a baby’s umbilical cord or other complications that might prevent a healthy birth. At Health Solutions, expecting moms can also benefit from obstetric services, like ultrasounds, genetic testing, and umbilical cord sampling, which help to identify specific conditions or disorders in the growing fetus. When should I see an obstetrician? If you are considering becoming pregnant or you are pregnant, make an appointment for obstetric services at Health Solutions today. Healthy pregnancies start with excellent prenatal care, and the team at Health Solutions can address all your concerns and make sure your pregnancy goes smoothly. Obstetric specialists can help you navigate all of the tests you need to take and the procedures required both during and after your pregnancy. Health Solutions is also associated with Wellington Regional Medical Center and Palms West Hospital, so you can easily integrate your care. What can I expect after childbirth? Obstetric care not only ensures a healthy pregnancy, but it’s also crucial for post-delivery. After you give birth, Health Solutions can help you navigate things like birth control options, questions you have about how the pregnancy or delivery went, and how to adjust to motherhood. You’ll also have the chance to monitor any health issues that came up during the pregnancy, like gestational diabetes or high blood pressure. To learn more about the obstetrics services at Health Solutions, call the office today to book an initial appointment.